Pastor Patrick Mugadza of Remnant Church was recently arrested and detained by the police after he had held a one-man demonstration in front of a conference venue in the resort town of Victoria Falls where President Robert Mugabe and and his ZANU-PF party were meeting. Pastor Mugadza risked the wrath of state security agents simply by carrying a placard that read, "Mr President, the people are suffering." He was quickly whisked off to the nearest police station where he spent the Christmas holiday behind bars after failing to raise the required US$500 bail. That was just the beginning. 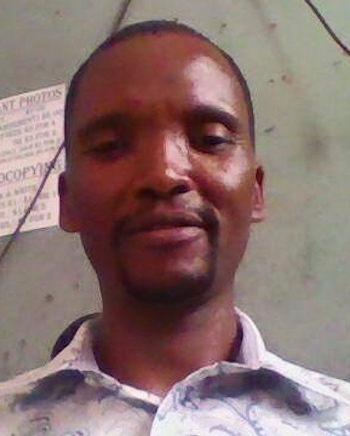 When he was finally released, Pastor Mugadza did not stop advocating for human rights and democracy in the country. His next move was to hold a press conference calling on the Zimbabwe government to respect the rule of law as well abide by the Constitution. Saying that President Mugabe “was being used by the devil,” Pastor Mugadzahe called upon the State to release human rights activist Itai Dzamara who remains missing after being abducted by suspected state security agents in March 2015. He went on to visit Dzamara’s family were he continued to castigate the State for abducting Itai. "I will not be silenced and threatened as I am advocating for what is both a Godly and a human right .The state has to release Itai Dzamara now," he said. Unlike other churches, Pastor Mugadza’s Remnant Church has been vocal in denouncing the State over its violation of citizens’ rights. The Church offers counselling services to affected citizens who have either been beaten or arrested by State security agents in the country.